Was born on March 23, 1933 in Moscow. He is a Russian scientist majoring in the field of thermomechanics of materials and heat-stressed structures. He is a Doctor of Engineering Sciences, the Honored Worker of Science and Technology of the Russian Federation, the Academician of the Russian Academy of Cosmonautics, Professor. Was born on October 3, 1948 in Poltava, Doctor of Physical and Mathematical Sciences, Professor, Chief Research Scientist, Corresponding Member of the Russian Academy of Sciences, Russian scientist majoring in the field of nonlinear dynamical systems and control processes. Morozov Andrey Nikolaevich was born June 17, 1959 in Moscow. Doctor of Physical and Mathematical Sciences, professor, honored worker of higher education of the Russian Federation. Was born on January 5, 1946 in Moscow, Doctor of Engineering Sciences, Professor, Head of the Department of Applied Mathematics at Bauman Moscow State Technical University, a Russian scientist majoring in the field of thermomechanics of a deformable solid. Was born in 1947 in St. Petersburg. In 1975 he received his post-graduate degree at MIPT and defended his thesis for the degree of candidate of engineering sciences. Since 2001 Sergey Ivanovich has been the head of the Laboratory of Remote Sensing at Bauman Moscow State Technical University. Was born on May 25, 1979 in Moscow (Russia). He is a Russian mathematician, professor of the Russian Academy of Sciences, Doctor of Physical and Mathematical Sciences. Was born January 4, 1973, at Moscow (Russia). D.Sc. Federal professor of mathematics at the Bauman Moscow State Technical University, and professor (part-time position) at the Mathematical Analysis department of the Saint-Petersburg State University. Member of the Moscow Mathematical Society and member of the Saint-Petersburg Mathematical Society. Was born in 1959 in Moscow. Dr. Sc., Professor of the Department of High Mathematics of Bauman Moscow State Technical University; Professor of the Department of Differential Equations, Faculty of Mechanics and Mathematics of Lomonosov Moscow State University, specialist in the field of partial differential equations and spectral properties of differential operators. Was born on July 8, 1940 in Dnepropetrovsk. In 1965 he graduated from the Department of Radiophysics at Moscow Institute of Physics and Technology with a degree in Optics and Spectroscopy. From 1965 to the present time he has been working at G.S. 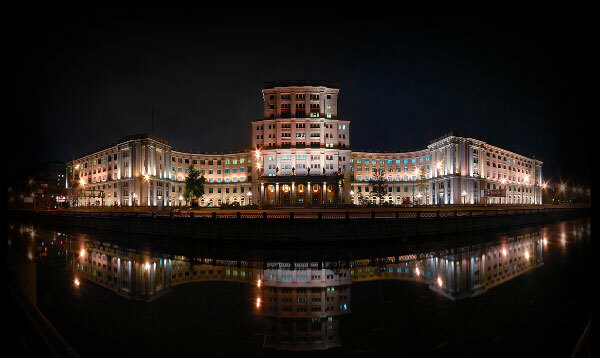 Landsberg Optical Department at Lebedev Physical Institute of the Russian Academy of Sciences, being the chief research fellow of this institute. Was born on August 11, 1962 in Moscow. Russian scientist in theoretical physics, Doctor of Physical and Mathematical Sciences.